I only wanted a coffee. 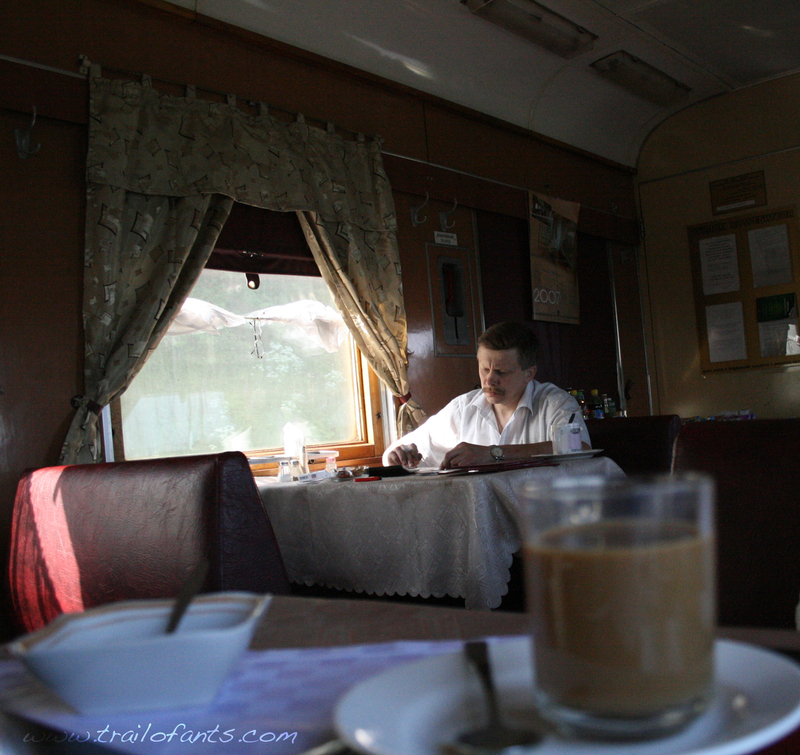 I’d been on the Trans-Mongolian railway for three days, dying of thirst and I just wanted a coffee. But. There was one man standing in between me and that pot of lukewarm bitter sadness. Victor. Victor is like a horrid old pirate aboard the Ruski railway, though infinitely more thrilling than much of the external landscape. He has that aura about him that is not unlike the demon-possessed dinner lady you never had at school. His eyes are invisibly etched with nyet (no) and he can warm the inners of a beer with a twitch of his tash. I loved Victor, though it will forever remain unrequited. Has Victor given your skin an angry rash? To cleanse yourself of hatred, take a moment to absorb the more tranquil points of my onward journey from Moscow along the sleepers of the Trans-Mongolian railway. Well now, did the rudeness of the French Cafétier’s spill over to the Trans-Mongolian railway?